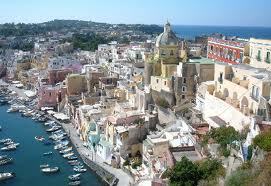 Although a small island, full of mysteries, Procida enchants with its nature and its ancient port of Marina Grande. Starting from the pier, we are going to discover churches and villages, till we reach the San Michele Arcangelo's Abbey in Terra Murata, an ancient medieval small city, placed on the highest promontory on the island. We then go down to Marina di Corricella to see the fishing village, with its winding streets and colorful houses, and we reach the popular Chiaiolella beach, from which we can see the small island of Vivara. Here we stop for a break before heading back to the port.